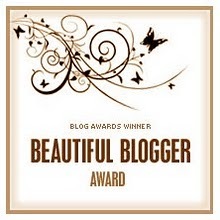 I’ve just received my very first blogging award and I am very chuffed about it too. It’s been awarded to me by the lovely Karen Payze of Drawing Room Days and it’s really made my day. I feel all warm and fuzzy and I fancy a little glass of champagne to celebrate .. or perhaps I’ll settle for a cup of peppermint tea instead. I am so fortunate that my day job is often about writing too and that I get to ‘meet’, albeit virtually so many lovely people. Since, I decided to actually give my blog a little love back at the beginning of this year I have had the opportunity to talk to people, to host people and to share my strange little world with others too. And now, I’d like to also nominate a few bloggers who I know have been working on a variety of projects and businesses and aren’t all writers by any means – they often contribute something a little different to the blogosphere. I find their insights interesting and I inevitably learn something new along the way. Paste the Award image somewhere on your blog, you can copy it from here and then re-use it. Congratulations – I too was nominated a couple of times but my hands are tied ’til I sort out the spammer mess with askimet !